Members Only Seating through September 1, 2018. 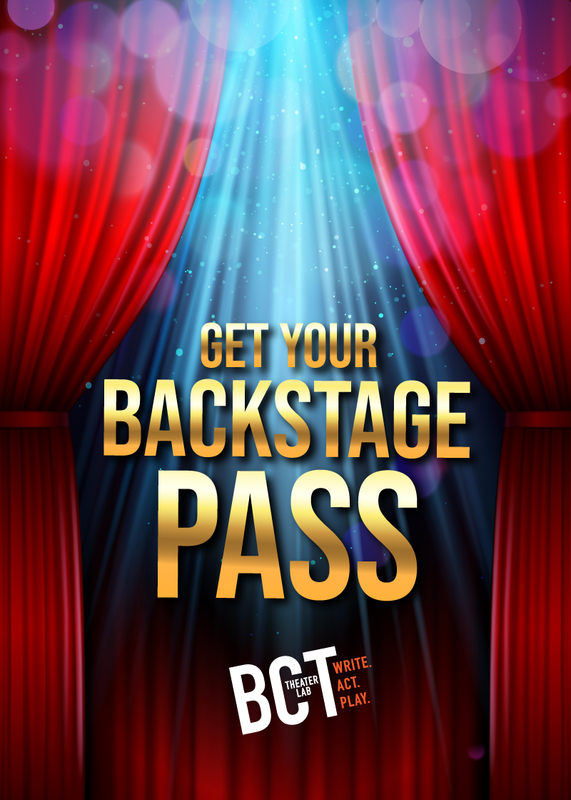 Join the BCT Membership Family today by clicking HERE. Season Ticket Holders: After selecting a date and seat(s) for a play, click "continue shopping" to return to this page and book seats for each play in the season. Also, you must click "apply" on the "Review Your Order" page in order to redeem your package and zero out the cost of the individual tickets. A love story set on the Moon, the most dangerous place anyone has ever been, challenging us to reconcile what we believe is real and what we believe to be impossible. More than 200,000 miles from home, NASA Commander Chandni Douglas has lost contact with earth just as one of her crew members, Will Lundon, has become stranded 45 miles from the spacecraft that was supposed to carry them all safely home. As the sun sets on their mission, and they are all plunged into the surreal lunar night, a paper forest rises from the dust and a trio of curious animals appears from the darkness to play out an ancient story, maybe the oldest story humans tell. A kind of fairytale that unfolds from the heart of a desolate, science fiction moonscape, Rabbit/Moon explores the liminal space between what we think and what we feel. Experience 5 intriguing new plays straight off the page, and imagine the visual world without sets, costumes or props. Let your creativity fill in the blanks. Then join a discussion with the actors, directors and playwrights who bring these remarkable works of art to life. Many future BCT productions are road-tested at the 5X5, making it a perfect opportunity for theater loves to watch how a new play goes from the page to the BCT Mainstage. Kids plays you say? Well yes, these plays were written by youth ages 12-18, but these are anything but "kids plays". Join us for three never-before-seen one-act plays, written and performed by the students of Theater Lab: Main Stage. BCT steps up to a new level of scale and spectacle with the international hit about an English boy with an extraordinary brain. Someone has killed a neighborhood dog. Christopher sets out to solve the mystery and prove his innocence, but he discovers a secret that will change his life forever. Based on the bestselling novel and hailed as the best new play in London and on Broadway, The Curious Incident of the Dog in the Night-Time is a thrilling story about the struggle to connect despite our differences. "funny and extremely moving" —Telegraph (London). "A beautiful, eloquent, dazzlingly inventive show about the wonders of life." —Evening Standard (London). Winner of the Tony Award for Best Play and the Olivier Award for Best New Play. The story of a man with a paper heart, a mother who wanted to spare him the pain of a real one, and a woman on the subway with so much love to give. A modern-day fable about what it costs to give your heart away, and what happens when you discover you actually have one.